If you would like to have a smile that lights up a room, teeth whitening is one of the most popular cosmetic treatments available. At Corporate Drive Dental Clinic, we specialise in teeth whitening. Drinks such as tea and coffee as well as smoking and other lifestyle factors can negatively impact the appearance of our teeth. Our whitening service will remove surface stains from the enamel, rejuvenating your smile. 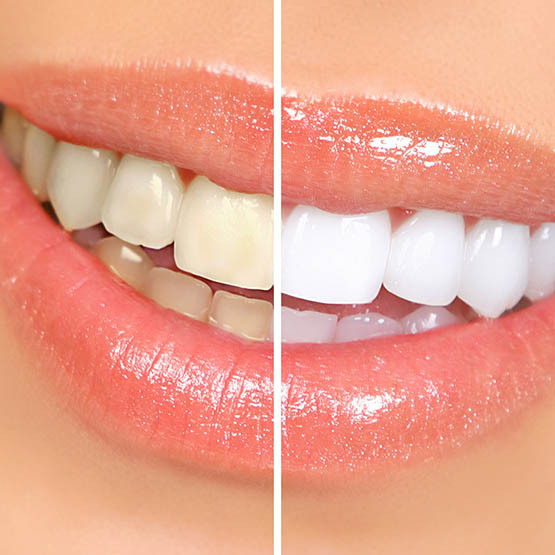 Whilst home based bleaching kits are available online, we do not recommend them as they rarely achieve the desired results and in some cases can cause damage to teeth. Instead, we offer our patients a tailored take home whitening kit. Home whitening kits also come in handy if you wish to extend the life of your in-chair treatment. This allows you to restore your smile quickly and easily whilst minimising visits to the dentist. In-chair whitening by the qualified dentists at Corporate Drive Dental Clinic will be administered in a safe and professional manner, and the stunning results will be visible in as little as two hours. Before administering whitening, we will examine your teeth and gums to determine an appropriate in chair whitening treatment. SAFE AND AFFORDABLE – REFRESH YOUR SMILE TODAY! Teeth whitening is quick and easy, and you will be amazed at the finished result. Our convenient location within Parkview Business Park Heatherton means it is possible to have in chair whitening completed during your lunchbreak, so that you can return to the office with a brand-new smile. We are proud to serve the needs of professionals and residents of Moorabbin, Cheltenham, Clarinda, Bentleigh East and surrounding areas. No one has to live with yellow, discoloured teeth – treat yourself today and contact us on 03 9558 0125 to arrange an appointment, or submit an online enquiry.